Discussion in 'Forum Games Archive' started by Tangrow, Jun 21, 2010. I, um, loooved this game. So I decided to revive it! here are the rules from Katie's original post, really. You use the POkemon that shows up in the top right Pokedex thing when you hit the reply button and whatnot :'D You'll now find your random Pokemon when you hover your mouse over the "PokeDex" tab at the top of the page. * I shall start with whatever Pokemon is randomly displayed on my screen in the top right. * The person who replies next posts whatever random Pokemon they have displayed at that moment (be honest or the point of this game kinda ceases to exist). 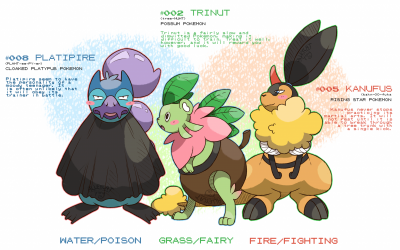 If a Pokemon can be multiple-types (ie. Castform), point out which form/type it's displayed as. * Those two Pokemon then battle in a simple rock-paper-scissors way based on their types (ie. Water beats Fire, Fire beats Grass). Abilities are not taken into consideration (ie. Haunter will lose to a Ground-type). 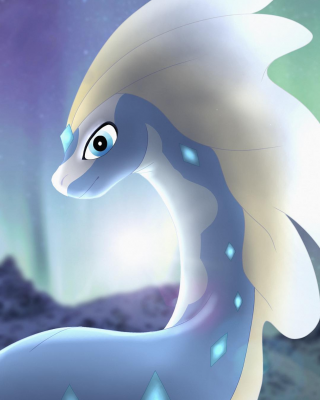 * In the case that a clear, super effective winner can't be easily determined - examples: One or both of the Pokemon are dual-types and this causes type conflicts, both are the same type, or neither has a strength over the other - the currently reigning champion wins by default (think of it as a house wins sort of idea). However, an exception to this rule is the types that are super-effective against themselves - Dragon-types and Ghost-types. In these cases, the challenger wins. * Pure Normal-types (Dual-type Normal Pokemon don't apply) are considered "wild cards" - they automatically beat whatever they face unless it's a Fighting-type or Ghost-type. However, a pure Normal-type can also be defeated by ANOTHER pure Normal-type - something to keep in mind. * Since Sem pointed it out... Sableye/Spiritomb are BANNED for having no weaknesses. If you land on either, refresh and post the next displayed Pokeymanz. * The Fun is seeing how long each Pokemon can survive and what sorts of random opponents they'll take down in the process. It's up to each of us to keep the game moving by saying which Pokemon moves on to the next 'round of battle, so play fairly and play right. If you're not sure if a match-up works, check out a type chart...Or admit defeat and lose by default. That works, too. * If your Pokemon is the reigning champ, you can't post again until they lose to someone else (no battling your own Pokemon ). Finally, make sure you actually use the sprites in your posts, or they'll be liable for being considered null and void. PHIONE!! FEAR HER TINY BLUE WRATH! Who else wants to take a shot at me?! Ironically, I really did get the same as Blarg. May he rest in piece(s). is going to eat you all. finds little pauses for a second. But then utterly destroys it. Gengar would still be playing. stomps on , thus killing him. Mankey is telekeneticly thrown down a cliff by Kirlia. crushes even without using telepathy.